Specializing in minimally invasive heart surgery, heart bypass, heart valve and lung cancer surgeries. Pikeville Medical Center proudly welcomes Cardiothoracic Surgeon Dermot P. Halpin, MD, to its medical staff. An experienced heart and lung surgeon, Dr. Halpin joins PMC after working in a busy practice at Saint Joseph Hospital in Lexington, Ky., for 18 years. He performs difficult procedures at PMC that are not available at other healthcare facilities in Kentucky, including minimally invasive heart surgery. Dr. Halpin is one of only a few heart surgeons in Kentucky offering a minimally invasive approach to heart bypass and heart valve surgery. This surgical technique involves a smaller incision than conventional heart surgery and can result in a shorter recovery period, fewer complications and less pain after surgery. 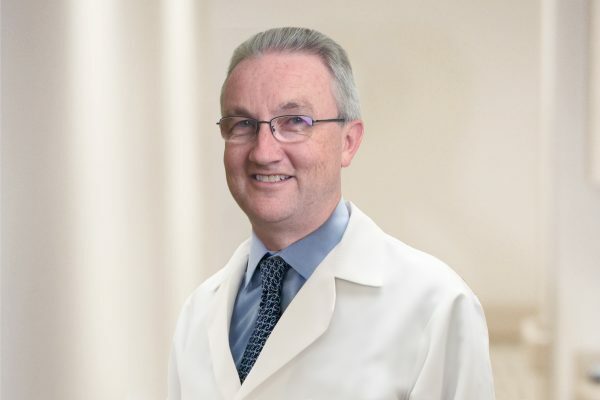 Born and raised in Dublin, Ireland, Dr. Halpin received his undergraduate and medical degrees from one of the oldest educational institutions in Europe — Trinity College in Dublin. He completed his internship at St. James’s Hospital in Dublin, his general surgery residency at Baptist Medical Center in Birmingham, Ala., and his cardiothoracic fellowship at Tufts New England Medical Center in Boston. He worked at Saint Joseph Hospital with Surgical Associates of Lexington for 14 years and has spent the last four years with Kentucky One Cardiothoracic Surgical Associates, also at Saint Joseph Hospital. He is board certified by the American Board of Thoracic Surgery, is a fellow of the American College of Surgeons and a member of the American Medical Association. Although he has performed thousands of heart surgeries, medicine was not Dr. Halpin’s first career choice. He originally aspired to be a preacher. After giving careful consideration to his career path, he realized he had a greater interest in science than theology. He viewed ministry and medicine as public service careers and ultimately chose to become a physician. Dr. Halpin said he specialized in cardiothoracic surgery because it is the most challenging of all surgical specialties. Having worked on a temporary basis at PMC prior to becoming employed full-time, Dr. Halpin was already familiar with the hospital and its staff. Dr. Halpin also praised the operating room team. Dr. Attum is excited to expand the hospital’s cardiothoracic surgery services. Dr. Attum, who came to PMC in 2015, is certified by the American Board of Thoracic Surgery. Like Dr. Halpin, he was impressed with the hospital following his first visit to the facility and noted that it mirrors the world-renowned Mayo Clinic. He is located on the second floor of the PMC Clinic. For more information or to schedule an appointment with Dr. Halpin, call 606-218-2202.